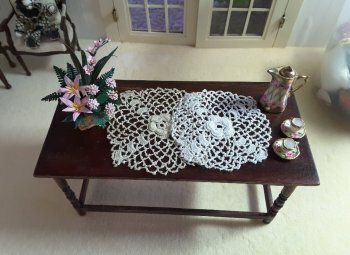 This is a charming vintage hand tatted lace. It is one twelfth scale in antique white and measures 2 1/2" in diameter. It features a detailed rosette in the center. 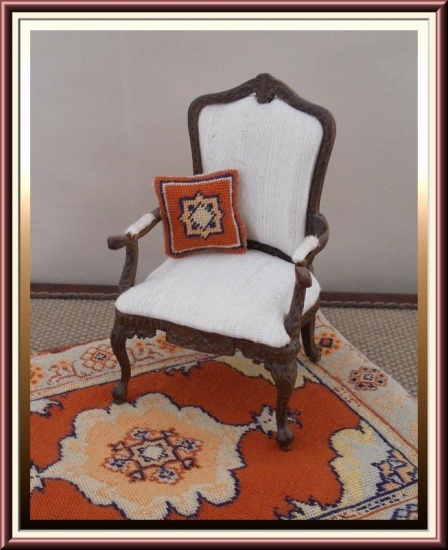 It is perfect for Shabby Chic or any vintage setting. Also available in pure white....just specify which color is desired or try both!